Despite RIM's impending BlackBerry revamp with BB10 and updated hardware, the U.S. Immigration and Customs Enforcement agency (ICE) announced it would be dropping its exclusivity contract with RIM. According to Reuters, ICE will be transitioning to Apple's iPhone to fill gaps once occupied by RIM's Blackberry handset. The same day ICE announced its imminent shift away from BlackBerry, the U.S. Defense Information Systems Agency (DISA) also began taking bids from software makers capable of managing, validating and enforcing Android and iOS handheld security. DISA intends to manage about 162,500 devices with the bid-winning software during its initial rollout. Eventually though, DISA plans to manage over 8 million devices. Although we don't have the numbers, the DOD is likely a very large customer for RIM and accounts for a significant portion of the company's slowly waning user base. This is because BlackBerry has long been best able to cater to the Pentagon's unique security requirements. 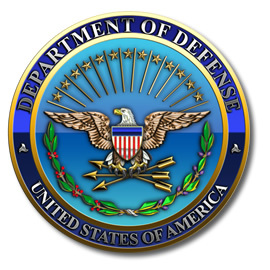 As the smartphone explosion continues to produce increasingly sophisticated handsets though, the DOD finally decided to re-evaluate its exclusive partnership with RIM. Yahoo also recently announced it would be dropping BlackBerry has the preferred handheld. Although the DOD's sidestep of BlackBerry handsets can't be good news for the languishing smartphone maker, the Pentagon said it will continue to support "large numbers" of BlackBerry handsets. "DISA is managing an enterprise email capability that continues to support large numbers of RIM devices while moving forward with the department's planned mobile management capability that will support a variety of mobility devices," a DISA spokesman said. This may indicate that the Pentagon doesn't plan on eliminating all BlackBerry handsets -- it may simply be aiming for flexibility through diversity. Also, in an unexpected twist, RIM believes its BlackBerry Mobile Fusion software could be used to manage the defense department's future Android and iOS devices. RIM spokesman Paul Lucier said the Canadian company is, "excited for the opportunity to include BlackBerry Mobile Fusion in the DOD's portfolio." The contract for a favorable solution to manage Android-iOS devices is expected to be awarded in April 2013.